We craft, test and deploy a lot of emails, for our customers and for ourselves. That’s why I’m embarrassed to admit that our brand has sat virtually unchanged for almost four years. We were not at DEFCON 1 exactly but if not for the growth of BlackBox, a cool abuse-prevention product we sell to ESPs, who knows when we would have gotten around to sprucing up our image. 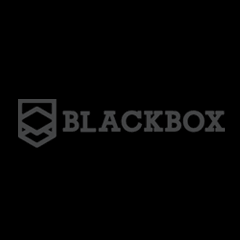 Once we made the decision to create a standalone website for BlackBox We then decided it would be best refresh our website and retool our logo. Heck, we even re-skinned this blog. It was fairly painful experience but it ultimately became a great opportunity to reflect on our company, what we’ve learned, and how we’ve evolved, which surprisingly provided us with crystal clarity into who we were, where we are going and even how we were going to get there. Probably the biggest and most intangible benefit of if this exercise is also the hardest to describe; essentially we reconnected with our own brand, we become intimate with it again, maybe even fell in love with it again. Whatever it was it was incredibly valuable. I strongly encourage all entrepreneurs and thinkers to do a deep dive into brand-self-discovery, you will not regret it.